From left: Ginger and Patrick. We had such a hard time choosing our pet photo winners, that February ended up with two pets. 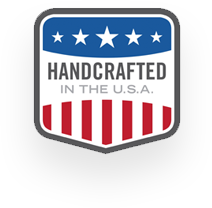 We’re excited to tell you more about them. Ginger is a Soft Coated Wheaton Terrier who lives with her family in Arlington Heights, Illinois. Her family has a long and deep connection to Stormy Kromer and the Upper Peninsula, where family members have owned land since 1897. Ginger’s owner Andrew spent many summers at their UP camp and now goes back to visit with his father who lives there full-time. Ginger’s family originally hoped to adopt a shelter dog, but Andrew’s wife Julie proved to be allergic to dogs. Still, they wanted to add a canine to their family of 2 boys and a girl so they set out to find a breed with low dander and minimal shedding. They discovered Soft Coated Wheaton Terriers and Ginger specifically in 2014 and ever since then she has joined the family on their visits to the UP. 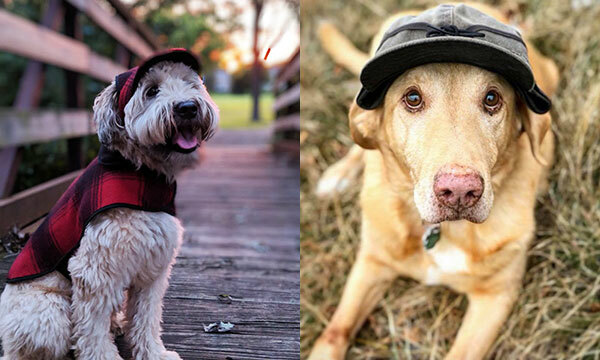 She loves to chase the squirrels and chipmunks on their property – and when Andrew saw the Stormy Kromer dog collection, he knew that Ginger needed a cap and jacket to keep the rain and snow off her soft coat and show her connection to the Upper Peninsual. Our second pet this month is Patrick. Owned by Patrick. The rest, as they say, is history and Pat and Pat started their adventure as best buds. (They even have a hashtag: #RuffLifeOfPatAndPat.) Patrick was 7 when Patrick rescued him from that shelter and it soon became clear that his world revolved around a tennis ball. Patrick says he never barked, but made it clear if you weren’t throwing the ball fast enough for him – even picking it up and tossing it back. He loved summer days spent at the beach fetching the ball for hours. He was also a Yooper dog who loved winter and knew how good he looked wearing his owner’s Stormy Kromer cap. Patrick the dog passed away just as we kicked off this photo contest in summer 2018. He had a great life with his namesake – who couldn’t think of a better way to memorialize him than for him to be in our inaugural pet calendar.